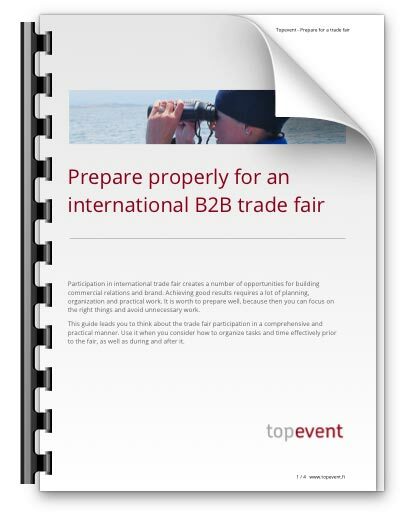 Do you want to improve your performance in trade fairs or other stakeholder events, including results and cost-effectiveness? Topevent helps you and your business to succeed. 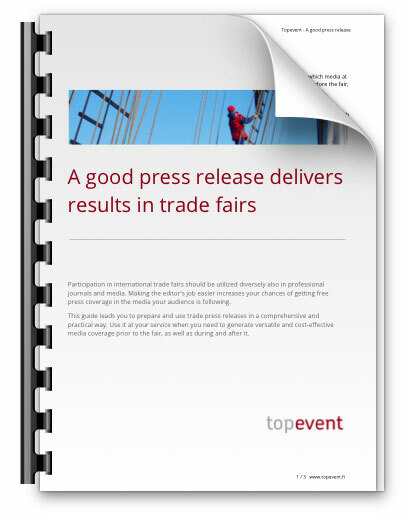 Depending on your need, we deliver a full package of fair and event services from the overall design to coordination and implementation, or you can use Topevent, for example, as your consulting and training partner to support your own organization. Topevent serves you always flexibly and personally, keeping its promises.